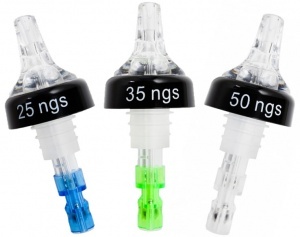 These precision pourers allow you to pour an accurate measure when preparing cocktails and other drinks which means less wastage and higher profits! 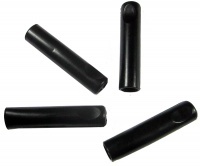 The plastic fins vary in size to ensure the pourer will fit snuggly into a range of bottles. Features a 3-ball mechanism that ensures an accurate measure is poured. 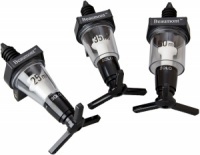 There are three volumes available (25ml - 35ml or 50ml) plus a freeflow version. Select your desired option/s above. Before first use, soak the pourers in warm soapy water for 5 minutes and then rinse in cool water. Leave the pourer damp when twisting it into your bottle and it will go in easier. 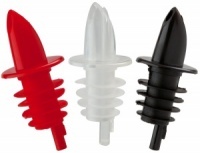 The plastic fins on these precision pourers vary in size so they can fit in a range of bottle openings. Once it has been placed in the bottle prime the pourer by blocking the spout (with a clean finger or napkin) and quickly turning it over. It is important to do this on first use and after each clean to ensure an accurate shot is measured. To pour a shot, turn the bottle to a natural 45-60 degree angle in a smooth motion to get an accurate measure. Do not nurse the pour by gently tipping the bottle as precision pourers are designed to be poured fast. However, the bottle should not be whipped upside down either. Just a natural, smooth pouring motion at between 45-60 degrees is fine. It is recommended to clean the Quick Shot 3-Ball pourer on a weekly basis by soaking in warm soapy water and rinsing in cool water. 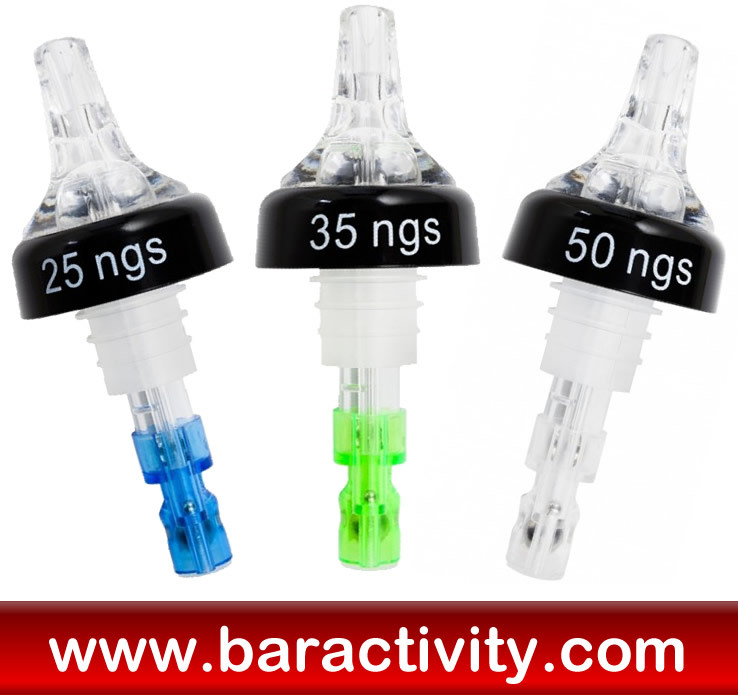 Wholesale and bulk buy discounts may be available on these pourers subject to your required quantity. Please call to enquire.